Senate and House Environment Committee Chairs have introduced legislation to authorize the Minnesota Pollution Control Agency (MPCA), in collaboration with the Board of Water and Soil Resources (BWSR) to develop a watershed credit exchange program. S.F. 2705 and H.F. 3120 outline a pollutant trading or banking program and make funding and MPCA fund management authority for such a program more explicit. Existing law authorizes MPCA to develop a trading program, and MPCA has overseen several point to point and point to non-point trades that have been reviewed on a case-by-case basis. The new bill could result in a streamlined program for generating, banking, and buying credits that is more widely used throughout the state. While the bill does not include specific details about the "watershed credit exchange" program, one clear application is at public water treatment facilities located throughout greater Minnesota. 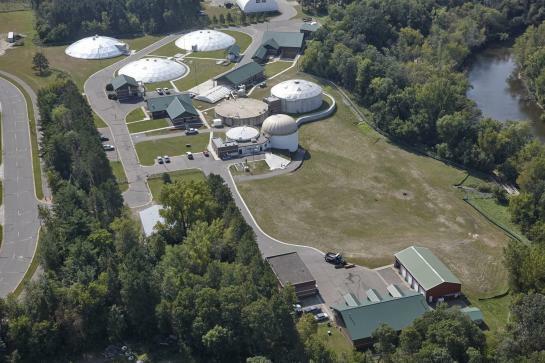 Many communities are searching for funding for required public water treatment infrastructure improvements to enable them to meet water quality standards, especially for phosphorus. Some state funds are available through the Water Infrastructure Fund, but available funding does not enable all facilities to be funded through this mechanism. A facility could purchase watershed credits to, at least temporarily, comply with water quality requirements for the facility. Watershed credits could be generated by non-point sources, for example, through best management practice (BMP) installation on farms resulting in quantifiable reductions of pollutants entering the water. A "credit bank" comprising multiple quantifiable reductions in water pollution would be available to enable public water treatment facilities to meet their water quality requirements at a cost lower than that of full-scale facility infrastructure updates. Watershed districts could be key partners in the work of establishing and maintaining a bank of watershed credits for trading given their existing role in Best Management Practice development, water quality monitoring, and constituent engagement.